If you want to sell your old car then you need to prove that your car is in a good condition and therefore, you need to apply for a roadworthy certificate-inspection for your car. This certificate-inspection will show the present condition of the car. With the help of this certificate, you will be able to get a lot of potential customers for your car. Not only this, but you will also get a good price for your car. Apart from this, the roadworthy certificate-inspection is considered as an important document in many parts of the world and the people are told to carry the certificate-inspection with their license when they travel in the car. But the roadworthy certificate-inspection does not provide any warranty or assurance for your old car. This certificate-inspection is a fitness certificate for your car which indicates that your car is safe to drive on road. Apart from that, you need to produce this certificate during the registration of the resale car, and this certificate is valid for three to six months only. Convenience: When you have to sell your old car, there are a lot of things which you need to do. For the car’s evaluation, there are a lot of companies which come to your place and sometimes you need to take your car to the company and they give you the evaluation. This becomes very time consuming and takes a lot of efforts. But, it is really different when you are looking to get a roadworthy certificate. You just need to make an appointment for availing the roadworthy certificate for your car, and an authorised service station can issue the certificate within one of two days. But if your car mail to meet their requirements then you need to fix the necessary problems of your car within the stipulated timeframe and then reapply for the certificate again. Saves time: When you have to sell your car, you need to do it quickly. No one would want to wait for days or months for their car to get sold. When you get a roadworthy certificate from the safety point of view, there will be a lot of people who will be ready to buy your car. This will save you a lot of time. You will save a lot of time in getting the certificate completed. Apart from that, this certificate will increase the value of your old car and with this certificate you can easily transfer the ownership of the car within few days. Stress-free: When you are applying for a certificate, you will need to search for an inspector who will work on the certification. Searching for the perfect one will take time and also a lot of searches will have to be done. But this is not the case when you go to a certification company. 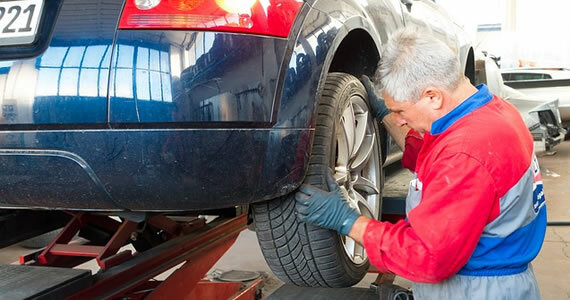 You need to choose an authorised roadworthy certificate company and they can easily evaluate your car and fix the probable issues and deliver the car with the certificate within a short time. You will not have to waste time in the waiting room. This process can be completed without any stress. Safety guarantee: The sale of your car will be a cakewalk once you have the roadworthy certificate with you. This will give you a proof that your car is safe to drive. Not only this, you will also have the legal paperwork which is required to advertise it for sale. This will only give you peace of mind. So now you can search some roadworthy certificate agencies in your locality and choose the best one for your car. But before that, you must check their license, insurance papers and past experience. One Comment on "Advantages of Having A Roadworthy Certificate"